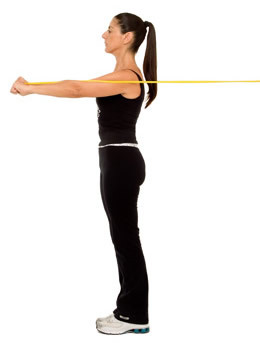 Start facing back to the wall, elbows flexed, and hands at chest level. 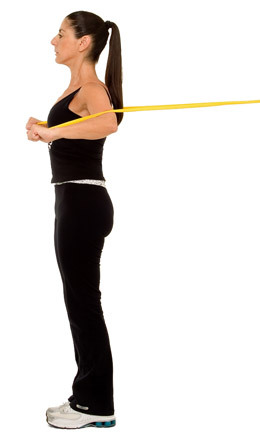 Proceed to stretch your arms forward holding them horizontally in a smooth motion. Resume the starting position. Repeat 10-20 times.